Graduate assistants at Penn State voted no to unionizing, according to the results that were announced Tuesday. Grad student organizers say they’re disappointed. Jerome Clarke, co-president of the Coalition of Graduate Employees, pointed to what he called divide and conquer tactics by Penn State. That includes the university saying international students’ visas could be affected if there was ever a strike. “We do believe that our primary antagonist in this campaign was fear,” Clarke said. 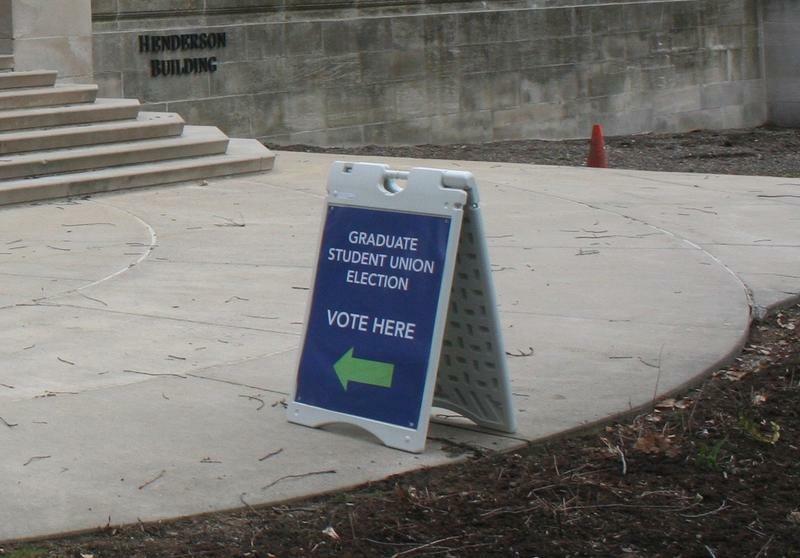 After years of organizing, Penn State graduate student employees have begun casting their ballots on whether or not to unionize. 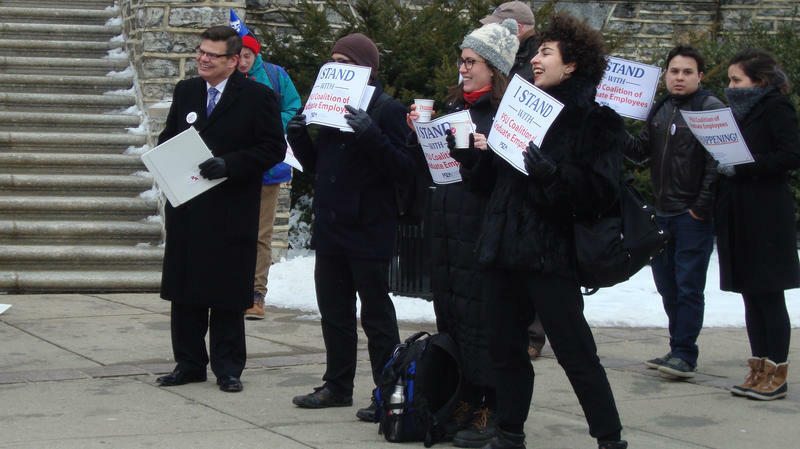 As voting began Tuesday, graduate employees and supporters rallied outside Old Main, the university administration building. “I think there’s a lot of energy here and it’s really inspiring,” said Nick Dietrich, a doctoral student in political science. He thinks grad students contribute a lot to the university and deserve a say in working conditions. In a nearby building, grad students were casting their ballots. Penn State graduate assistants are scheduled to vote on unionizing in April. But not if grad student Michael Cronin can help it. Cronin filed a motion to intervene with the Pennsylvania Labor Relations Board. He got help from the conservative-leaning organization, The Fairness Center. Communications director Conner Drigotas said Cronin felt it was important to make his voice heard.